Bonjour mon amour! As much as Mr Lagerfeld would disapprove on sight if he ever met me (double digit size, strong willed and quick-witted, it’s fair to say I do not behold to Mr Lagerfeld’s standard of what a woman should be), I must concede that he does have an eye for beauty and elegance. 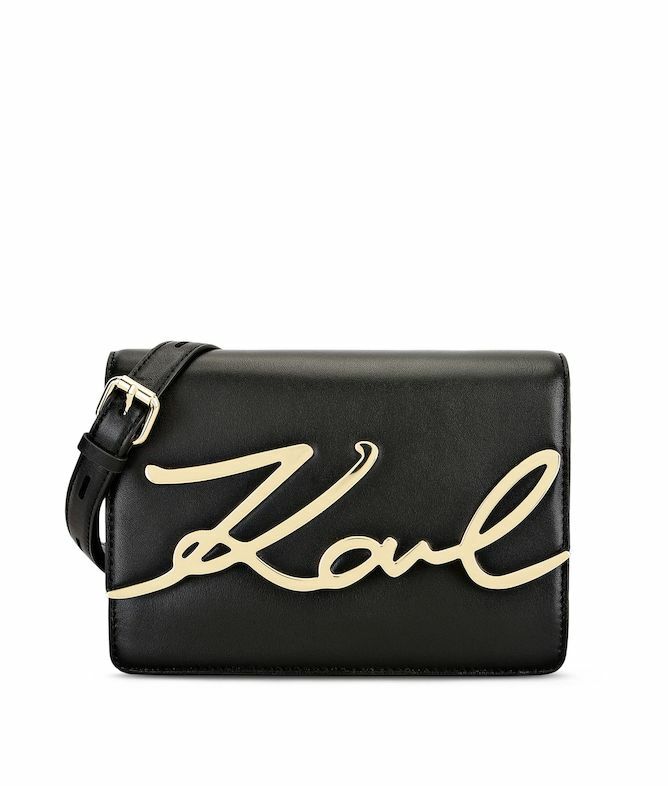 From the first picture straight to my wishlist in a heartbeat, that’s about how my first impression of the new Karl Lagerfeld K/Metal Signature Shoulderbag went. Clean lines, smooth, strong and structured leather and one striking detail instead of tassels all over, je l’adore! Adorned with Mr Lagerfeld’s signature, the black one just exudes timeless elegance, yet gives off a little hipster vibe at the same time! Hey Mr B, we’ve got a wedding anniversary coming up….